If you thought flying over the French Alps and meadows in Europe could be the only defining moment for a paraglider, India will prove you otherwise. It surprises the enthusiastic community of fliers with its exotic locales and stellar safety records. As you gracefully glide over snow-capped hills, gorgeous waterfalls, green valleys, and beaches, smugness takes over you and you tell the world: “I am the monarch of all I survey.” So, instead of watching others wave at you from miles up in the air and thinking of it as a dream, get a pair of sturdy boots, put the helmet on, and spread your wings for a liberating experience. Perched at an altitude of 2,600 meters, this is a veritable place for paragliders that has the potential of offering you the best flying experience ever. 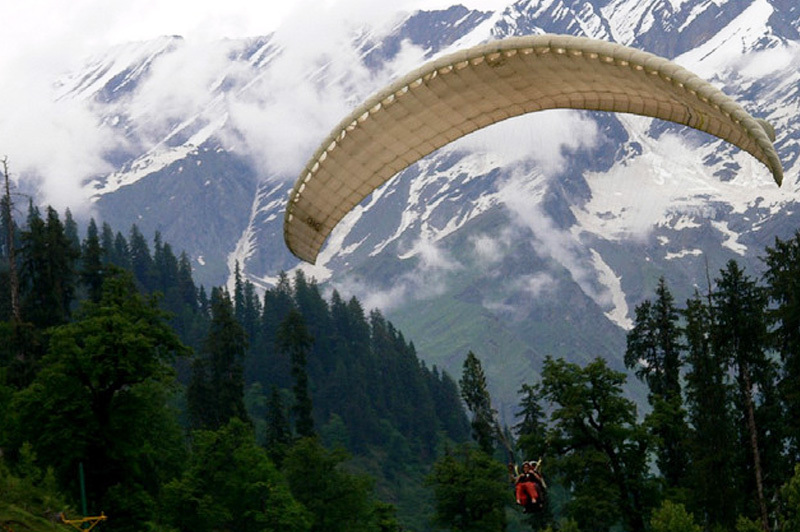 A popular stopover between two wonderful hill stations – Dharamsala and Manali – the picturesque Billing valley sees maximum activity in September, October, and November. Running down the slope and then letting your wings take you over the Dhauladhar mountain range is a feeling that you must live, at least once. 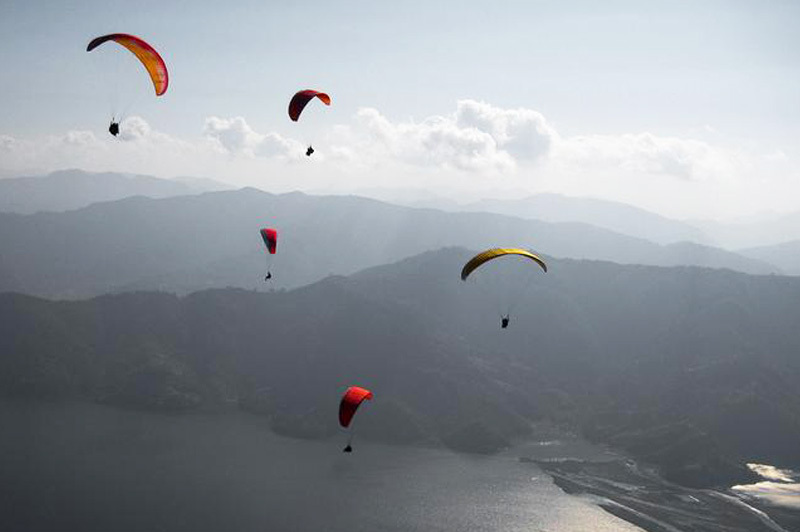 In case you don't know, Bir-Billing is gearing up to host 2015 Paragliding World Cup from October 24 to 31. Ranka, Bulbuley Dara, and Chakung are some of excellent launching sites for the paragliders who throng Sikkim with a purpose. The ethereal beauty of the Himalayas is best experienced from the top. You have to lift yourself to a height from where you look equal with the snow-capped ranges and waterfalls. Ranka, Bulbuley Dara, and Chakung are some of excellent launching sites for the paragliders who throng Sikkim with a purpose. This small state in northeast India dons the most adventurous look every winter as it hosts the Paragliding Festival for the adventure seekers. Situated at a height of 3,354 meters, Bedni Bugyal in the Chamoli district of Uttarakhand is a perfect spot for high-flying paragliders. Disappearing into the royal blue sky is a priceless moment. When you have an Alpine meadow as the setting, all you need is that little bit of urge to go on a Great Himalayan Adventure! Situated at a height of 3,354 meters, Bedni Bugyal in the Chamoli district of Uttarakhand is a perfect spot for high-flying paragliders. The best time to move through the sky is from September to May. The curve of the Arambol Beach and strong winds lure you to take to the sky. 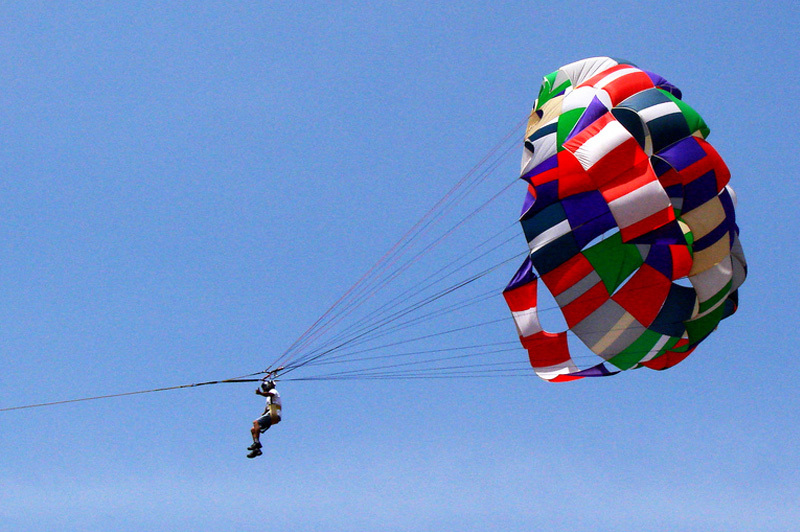 It is decidedly the best venue for paragliding in Goa. The curve of the Arambol Beach and strong winds lure you to take to the sky. Whether you go solo or tandem, the experience of paragliding at this famed beach is starkly different from what you witness in hilly terrains. It's like sailing over the Arabian Sea with no strings attached. And what could be a better way to conclude gliding than splashing into the water? Those who lust for adventure cannot but answer the irresistible call to fly 4,581 feet above the sea level. When you are in Nandi Hills, you are consumed by the desire of flying. Those who lust for adventure cannot but answer the irresistible call to fly 4,581 feet above the sea level. Much of the charm of trying paragliding in this hill station lies in the memorable landing along the beautiful Hebbal Lake in Bangalore. 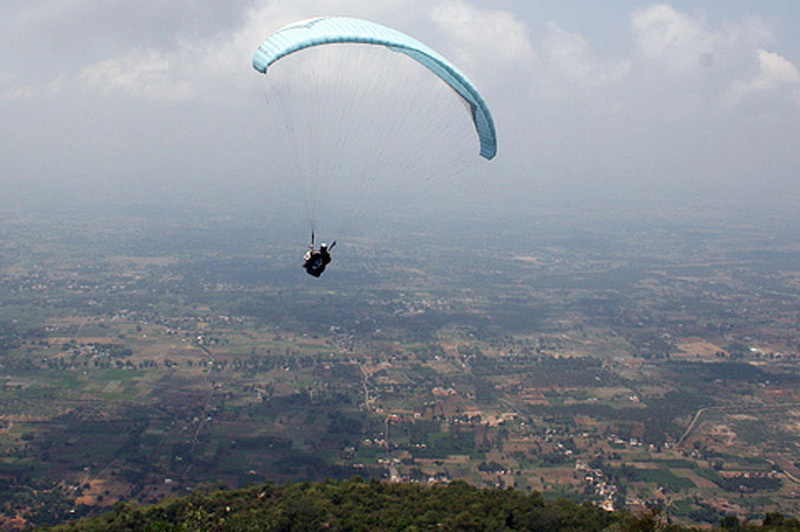 This recluse hill station in Vellore district of Tamil Nadu is unanimously admired by paragliding enthusiasts. This recluse hill station in Vellore district of Tamil Nadu is unanimously admired by paragliding enthusiasts. 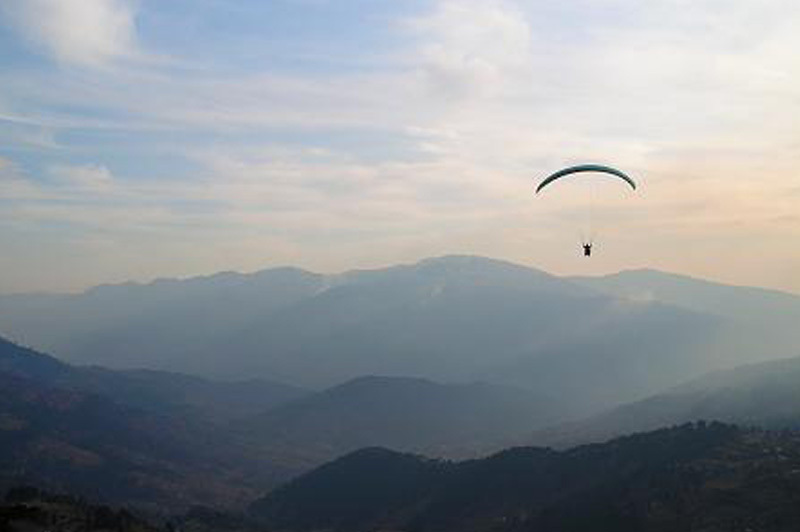 Much to their delight, the place hosts an international paragliding festival every September. Even the summer festival sees an impressive gathering of people who bond over their mutual love for flying. Enjoy the salubrious weather; feel the power of ascent; experience the thrill of spiral dive, and gift yourself few minutes of on-top-of-the-world feeling. 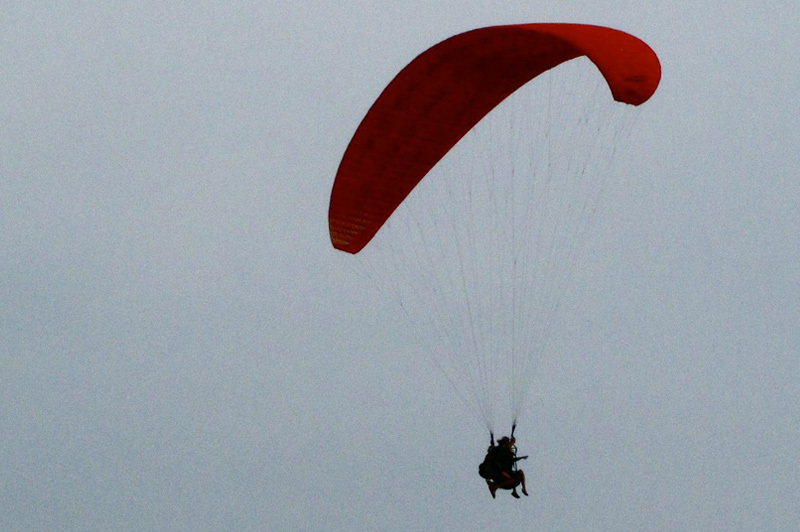 If you want to return home as a Pro, the society of eminent paragliders is there to handhold you.